In my second Ideas Showcase article that features a project that has reached more than 5,000 supporters, I would like to give a project a boost so that it reaches the 10,000 supporters target soon. 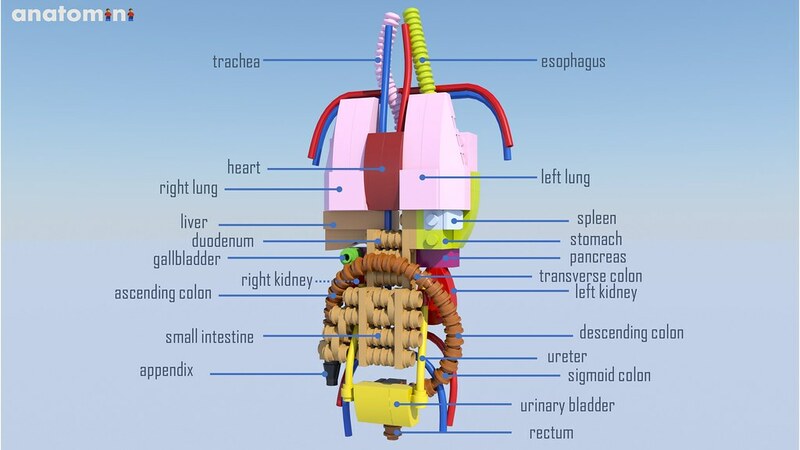 Anatomini is a project I have been following on LEGO Ideas for some time. 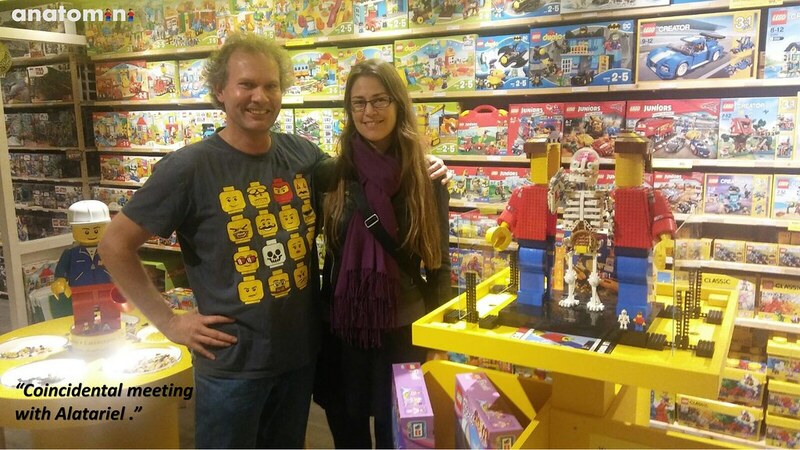 It was one of the first Ideas projects to get featured in the #LEGOIdeasInTheWild blog series. Read on as I describe, in detail, this wonderful project as it nears its Achieved Support status. Anatomini is a brick-built minifigure assembled at a scale of 10:1. The minifigure's anatomy is built on the inside. Designed by Stephan Niks - Stephanix on LEGO Ideas - Anatomini has been on LEGO Ideas for a while. Anatomini is just 400 supporters away from that elusive 10K target. Huw featured Anatomini in a news article in July 2017. The project started on the initiative of Stephan's son: "One day he had a biology lesson at school and it was suggested that he build a skeleton." Stephan thought it was a weird idea, but also a challenge. Stephan's objective was, "to design a realistic, though fun looking, skeleton." As Stephan wanted the model to stand by itself, he used LEGO Technic parts for the skeleton. "The 3x5 Technic L-beam seemed to be ideal as the ribs and they defined the scale of the build." 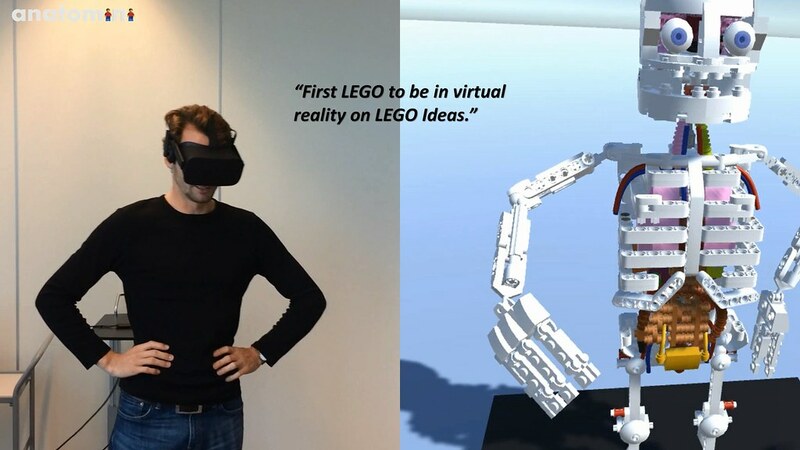 After the model was finished, Stephan checked to see whether it was worth submitting it to LEGO Ideas. 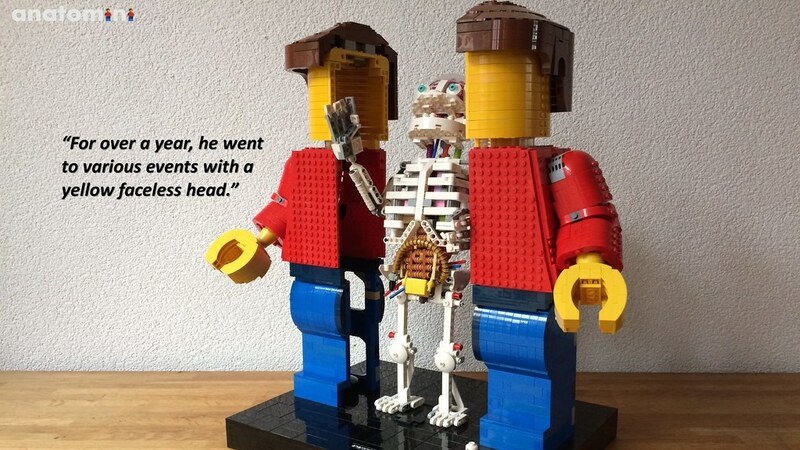 During his investigation, he came up with the idea to hide the skeleton inside a brick-built minifigure. That proved to be quite a challenge. Stephan's doctor was enthusiastic and he highlighted the educational value of the model. Stephan really started to believe in Anatomini's potential after he placed all the brick-built organs in the model. Anatomini reached 2,000 votes in the first three weeks after it was submitted to LEGO Ideas. 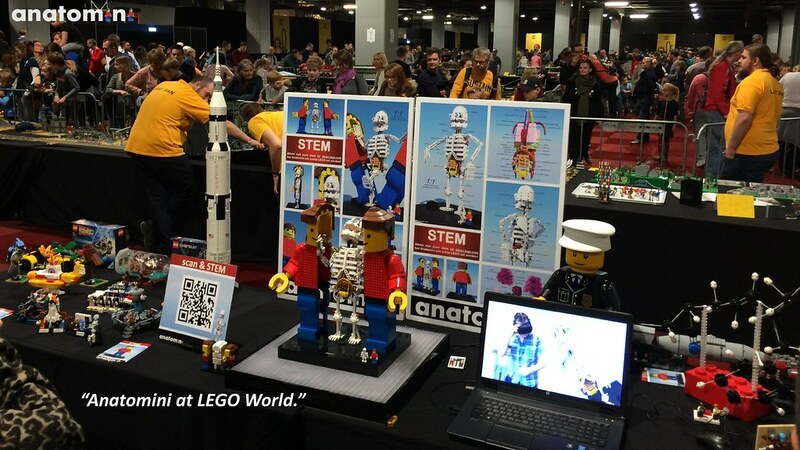 Stephan's friends urged him to make a real model and display it at brick shows and other LEGO events. The model travelled to many events and exhibitions. It received lots of feedback with promises of support. In reality, it is hard to get those new supporters: everybody likes Anatomini, but he is not a car, modular building or a rocket. Instead, he is the most incredible machine: YOU. The project has just passed 9,600 supporters and has only 400 supporters to reach the Achieved Support Product Ideas phase! Most LEGO Ideas projects have updates. One of first the updates was making a virtual reality version of Anatomini. Followed by further design updates, and based on feedback received at brick shows, Anatomini, like us humans, has evolved. This is not only important in nature: it is necessary for most projects on LEGO Ideas. Anatomini 2.0: Premiere at Brickset. Brickset gets the premiere of the Anatomini animation. The 2.0 update is the most elaborate version of the model and has been completed just as Anatomini nears the Achieved Support status. Version 2.0 is more playable and therefore even more educational. It is now possible to remove all organs in one go and start plastic surgery. The model is stronger, has new hair, adjustable arms, can be picked up and has a cool opening mechanism. So, who is Stephan Niks? Stephan Niks is 48 years young from Gouda, The Netherlands. He is a visualisation artist of airports, ports, shipyards and other big things. He got back into LEGO fifteen years ago. He now collects and designs trains and modular buildings but has been ‘distracted’ by LEGO Ideas for five years. He also collects LEGO Ideas sets to show what the LEGO Ideas concept is all about when he exhibits at events. 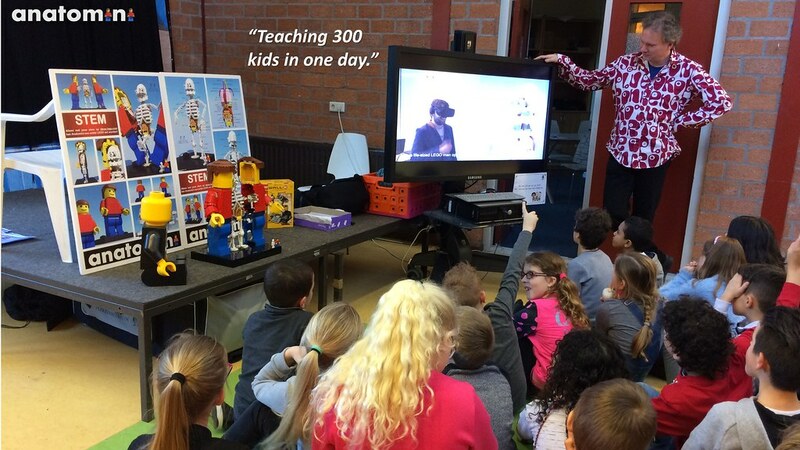 On his free Wednesday mornings, he teaches LEGO building techniques, including LEGO Technic, to groups of 8-12-year-old students. Anatomini reminds me of the LEGO Mini-Figure released in 2000. With a better parts selection, and all the educational features built into Anatomini's anatomy, I believe this Product Idea will be a popular, modern version of this rare - and sought after - brick-built model. Would you like your Ideas Project featured in an exclusive Brickset article? Please get in touch with me, using the contact link on my profile, if you would like your Ideas project featured at Brickset in one of my Ideas Showcase articles. Additionally, if your project has reached 5,000 supporters then I will write a feature article. I will ask that you send me some high-resolution images and a short write-up describing your project. Supported this a few months back, a crime that it hasn't yet hit 10K. Anatomini is one of those really great standout projects on Ideas. It's educational, fun and original. Good luck Stephanix, and with just over 200 days left I'm sure this one can make it to 10,000. Just supported it on two accounts! 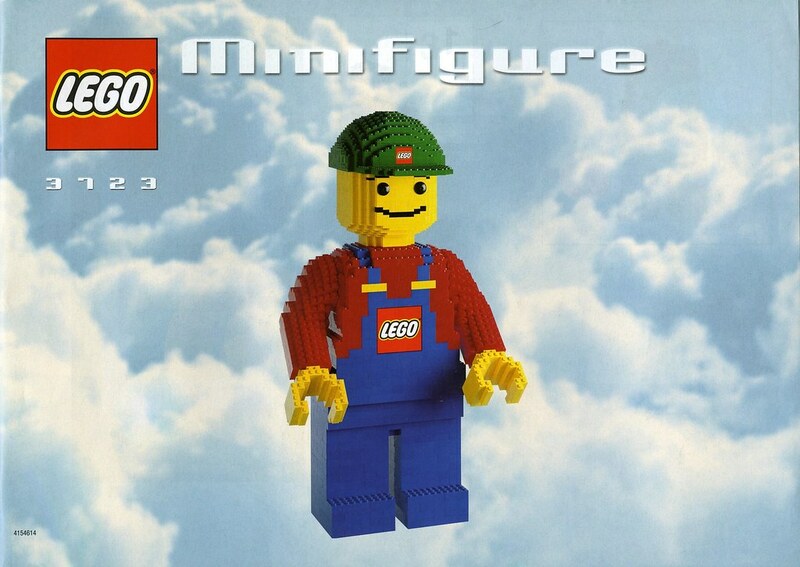 Uh, if this is an enlarged minifigure, how can the scale be 1:10? Surely, it should be 10:1 or something? This is a magnificent model, but my god does it creep me the hell out. @ Sammael: Good point. I have changed that. It's a neat idea. I'm not sure if I actually like it in practice. Got my support. Great idea! I think this is cool. Not the type of thing I would buy but it's definitely one of those really cool random things. 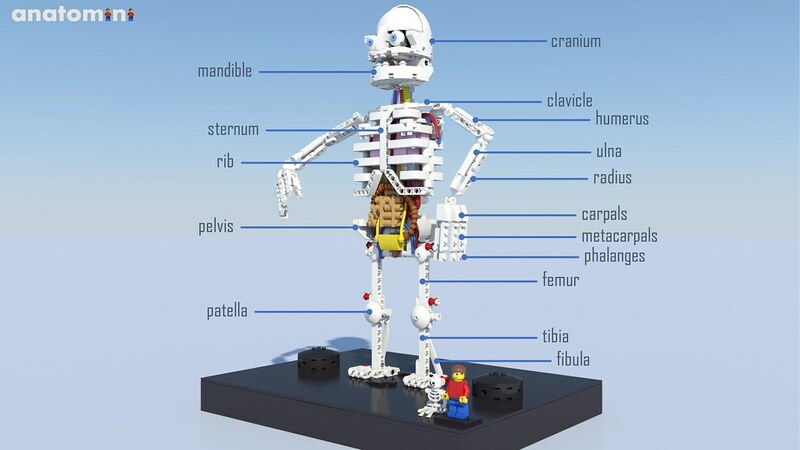 I can only find one issue with this: the anatomy things inside are more like human than Lego. 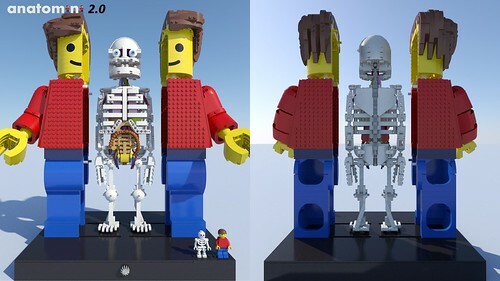 For fun they should make a completely lego looking anatomy chunk that has all of the stuff in it but trying to figure out a way to make it look distorted to fit the lego man. Turns out I hadn't supported it. 369 Likes to go. It'd be a shame to come so close and fail to reach 10,000 votes. I am getting very tired of seeing this one. Personally I've seen many anatomy based model kits from various companies end up at discount stores, which in turn had trouble getting rid of them. That being said I would question how well this one would actually sell. Already gave it my vote months ago, and would give one more if that was possible. I really like the idea, and final design. My child and I sincerely hope it will be a set one day. Thank you for haunting my dreams! Ambitious for sure, but I can't see it actually happening. The inside of a minifig is already known, see Lego minifig skeletons. So this is incorrect. I realize that would take away from the educational value, but it's just wrong now. Too big, too many pieces as it is right now.. and no play value. I don't see it becoming a real set. A fabulous symbiosis of System and Technic. I think this is my favorite Ideas project so far and hope it makes it to the shelves. Supported. In the seventh pic in the article the Anatomini reminds me of Jeff Dunham's "Achmed the dead terrorist" character. I don't like it...not one for me. I am concerned that there are only ureters going into the bladders from the kidneys and nothing out...stand by for bladder explosion! PS. I get 404 errors for the two Anatomini links at the start. ^Ideas is under Maitenence now so you can open the page for it in a few hours. This is just incredible. He's a fantastic artist. I wholeheartedly support this and hope it comes to fruition. It just looks ugly, like a victim of vivisection (yes, vivisection, not dissection). I'm not a fan, either. It's a little too bizarre for me. Decent concept, but its creepy as all heck. The Ship in a Bottle offers significantly more play value, and that's saying something. A large skeleton would be a better idea, as it wouldn't need over 2000 pieces to get the concept across. Hi all, thanks for the enthusiasm, positive reactions and support. I also resepect your critisism, if it is well thought. I spoke to and with about 5000 people on all kind of events. 99% of the people (kids and adults) do see the combination of education, fun, playability, displayability and surprise. The piece count is in between "The Old Fishing Store" and "Voltron". To improve playability and educational value all organs can be easily removed and placed back.